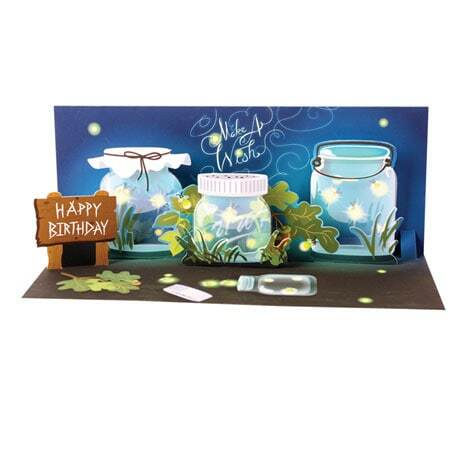 A dazzling display of dancing lights, our Fireflies Light Up Birthday Card will wow lucky birthday boys or girls—whether they're turning 5 or 105! The 9¼"x3¾" panoramic card opens to reveal a magical outdoor scene with jars full of fireflies that come to twinkling life at the touch of a button. With space on the back for a personal message, this unique card will be treasured for ages. Additional postage required.